While it is not yet confirmed, it seems as though customers who recently walked into Michael's, North America's largest craft emporium, may have walked out without the security they assume surrounds their personal identification. According to a Reuters report, a U.S Secret Service spokesman said an investigation was underway to determine if there had been a security breach on its payment card network. While the investigation is underway, the company is advising customers to check their financial statements for fraudulent activity. This would include -- at a minimum -- looking at any purchases you made with a credit or debit card, then examining current charges on those cards. The company did not identify a specific time frame, or how far back customers should research their accounts. 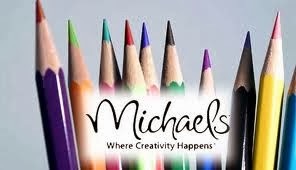 If you purchase craft supplies at Michaels, it would pay to examine your accounts for a security breach. 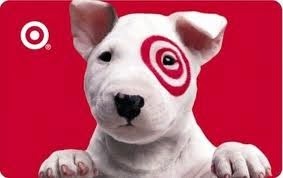 If you also shop at Target, you may feel some deja vu. Over the holiday shopping season, a colossal data breach hit that store, as well as luxury retailer Neiman Marcus, resulting in a total theft of nearly 42 million payment card records and access to 70 million customer records. Taken together, investigators are now wondering if the breaches may be part of an orchestrated effort which is only now coming to light. "This is devastating for them [Michael's] because this is the second time in a row," Gartner security analyst Avivah Litan told Huffington Post reporter Jim Finkle. "The public and the credit card companies are going to slap their wrist twice as hard because they'll say they haven't learned their lesson and that they can't be trusted." It is the job of the retailer to have proper consumer credit safety guards in place. 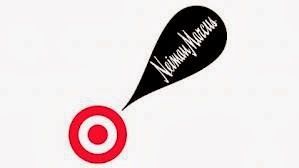 Others may feel the Texas-based chain of 1,105 stores is part of a larger problem that may yet effect more retailers. The U. S. Federal Bureau of Investigation last week warned retailers to expect more attacks and said the agency has reviewed as many as 20 incidents over the past year that were similar to the recent breaches. Michaels went public with its story in order to warn the public and launch a probe into the matter after hearing that there had been an increase in fraud involving cards of customers who had shopped at its stores. What is a Michael's customer to do? When the Target incident hit, the Attorney General of Massachusetts, Martha Coakley, suggested those who wanted to be vigilant be proactive. Considering we do not know when these security breaches will end, and what stores may be involved in the future, it may be prudent to take some of these actions now, or at least file this information with your financial papers for the future. 1. Immediately review and monitor your credit and debit card information. Carefully review and monitor your credit card or other financial accounts for the next 12 to 24 months for any unauthorized activity and monitor your credit reports. If you notice any irregular activity or charges, report them to the issuer of your credit card immediately. 2. Order a copy of your credit report, and look for unauthorized activity. Look carefully for unexplained activity on your credit report. You are entitled to one free credit report per year. 3. Call one of the three major credit bureaus and place a one-call fraud alert on your credit report. You only need to call one of the three credit bureaus; the one you contact is required by law to contact the other two credit bureaus. This one-call fraud alert will remain in your credit file for at least 90 days. The fraud alert requires creditors to contact you before opening any new accounts or increasing credit limits on your existing accounts. When you place a fraud alert on your credit report, all three credit bureaus are required to send you a credit report free of charge. Equifax: Call (800) 525-6285, and write: P.O. Box 740241, Atlanta, GA 30374-0241. Experian: Call (888) 397-3742, and write: P.O. Box 9532, Allen, TX 75013. TransUnion: Call (800) 680-7289, and write: Fraud Victim Assistance Division, P.O. Box 6790 Fullerton, CA 92834-6790. 4. If there is unexplained activity on your credit report, you may want to place an extended fraud alert on your credit report. If after reviewing your credit report you believe there is unexplained activity, you may want to place an extended fraud alert on your credit report. In order to do this, you need to file a police report with your local police department, keep a copy for yourself, and provide a copy to one of the three major credit bureaus. Then an extended fraud alert can be placed on your credit file for a 7-year period. This will mean that any time a user of your credit report (for instance, a credit card company or lender) checks your credit report, it will be notified that you do not authorize any new credit cards, any increase in credit limits, the issuance of a new card on an existing account, or other increases in credit, unless the user takes extra precautions to ensure that it is giving the additional credit to you (and not to an identity thief). 5. Contact the fraud departments of your credit card issuers or bank. You may want to contact the fraud department of the credit card company or bank that you used when you made purchases at the stores in question [Target, Neimans and now Michael's]. These financial institutions can monitor your account for suspicious activity. You may also wish to request a new account number; you can discuss this option with your credit card company or bank. 6. If you are a victim of fraud or identity theft. There are many steps you will need to take to protect your identity. Please see Attorney General Martha Coakley’s Guide on Identity Theft for Victims and Consumers, athttp://www.mass.gov/ago/docs/consumer/id-theft-guide.pdf for important steps you should take to protect yourself. These security breaches make me just want to use cash! Which is a shame because there are so many great things to buy on-line. I guess we have to be more vigilant. Thanks for sharing.